If your business is evaluating several corporate marketing providers, it’ll take due diligence to find the right company to work with, and to choose one that fits within what your business needs. In general, there are three factors that set corporate marketing providers apart — and they’ll help you weed out the best from the rest. While you may be tempted to use a corporate marketing provider that specializes in your industry, those that have worked in several industries can often bring more experience to the table, not to mention a diversified business model gives peace of mind. Also, when investing in a relationship with a marketing firm, you want a reputable company that has been in business for a long time. Tenure in this industry ensures you that the company won’t be disappearing. The next benchmark that showcases the best of what expert corporate marketing providers have to offer is their products and services range. 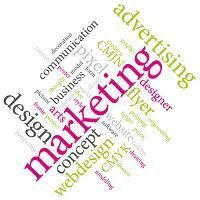 An exceptional provider should be able to offer your business a comprehensive, turnkey approach to marketing that you can customize and personalize to your business. These options should include cross-media programs that incorporate print materials, traditional direct-mail options, as well as a range of programs that use email, and allow you to choose from customer satisfaction surveys, customer retention solutions, lead generating programs and more. The last, and perhaps most important, component that can help you identify a reputable provider? Technology. If a business offers you several great programs but their tools are hard to use, frustration ensues and time is lost. Therefore, you’ll want to vet any marketing provider you talk to, asking about their tracking system, database, reporting capabilities and data-cleaning systems. And if your business doesn’t have its own design team and in-house printing tools, you’ll want to choose a provider that can offer high-quality graphic design, digital printing and fulfillment capabilities. Variable printing technology will give you the most bang for your buck, allowing you to easily customize marketing materials based on market segmenting. Pingback: Managing Centralized Marketing Systems at the Enterprise Level | Continuity Programs Inc.